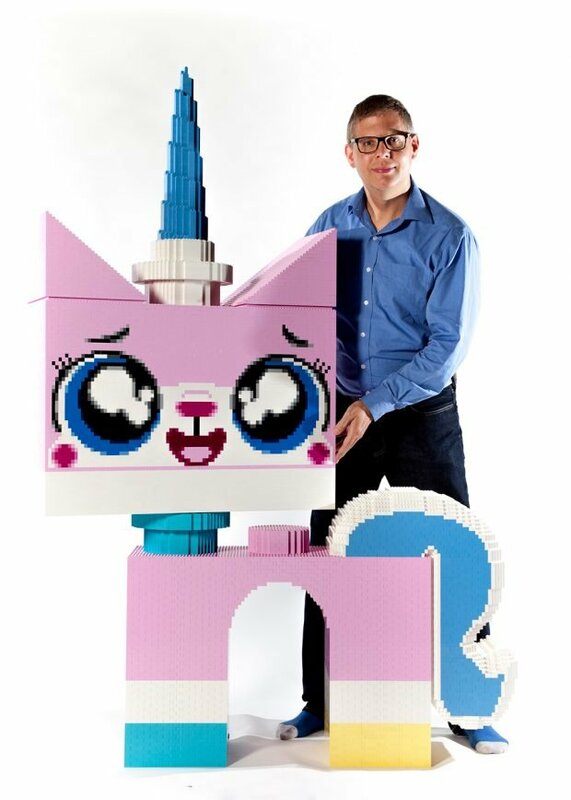 Christoph Bartneck secured his spot in Cloud Cuckoo Land among fellow Master Builders with this life-size model of The LEGO Movie‘s Princess Unikitty. As if its size wasn’t commanding enough, the model’s head can rotate while its eyes have detachable LEDs that blink wildly. Check out Christoph’s blog for more shots of his creation. He also made a separate post for the LEGO thrust ball bearing that he used to move the model’s head. I’d love to see a life-size model of Lord Business’ final form.